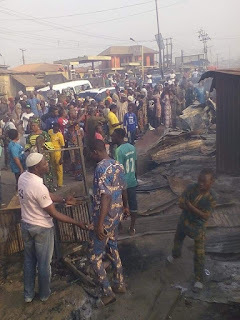 No fewer than 30 shops and houses were burnt down by people suspected to be arsonists in the early hours of Sunday, Osun Daily has gathered. The burnt shops and houses are located at located at Idi-Arere area and Bode all in the heart of the ancient city. 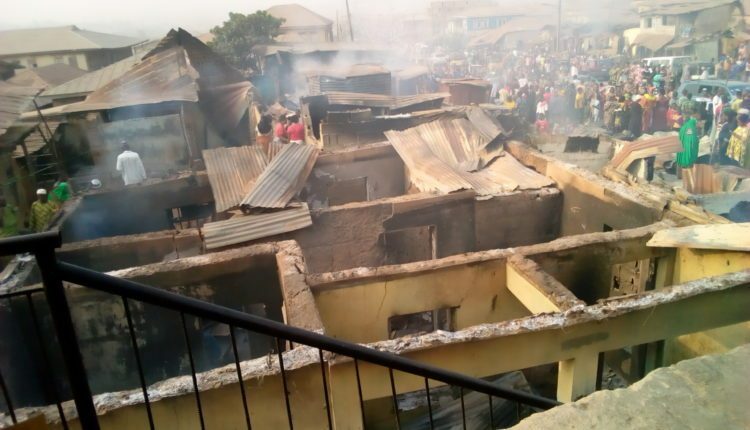 One of the residents confirmed that parts of affected structures included shops belonging to fashion designers, soft drinks sellers, residential houses, electronics shops, frozen foods’ shop and cooking materials sellers’ shops among others. Another resident of the area who spoke with in confidence confirmed that the incident occurred midnight when many of the residents of the affected areas were still sleeping. He said that the hoodlums stormed the areas and burnt all the shops and houses located along the road. He said, "It is not up to Popoyemoja, it was only at Idi-Arere and Bode up to Halleluyah petrol station. It is a case of arsonists. They burnt houses and shops too. So, it was very late, it happened in the midnight. "It was when we woke up this morning that we saw everything. It is not up to Popoyemoja, it stopped at Idi-Arere. From that junction to Bode road. "About 30 shops, if I have the opportunity, I will send you the pictures but, presently I am at home. He however queried the claim by the Oyo state government that there is peace in the state. He said, "The state government said that there is security, but you can see this. The CCTV is not in Idi-Arere, the one at Beere cannot capture up to Oja-Oba, the one at Molete cannot capture up to Idi-Arere". 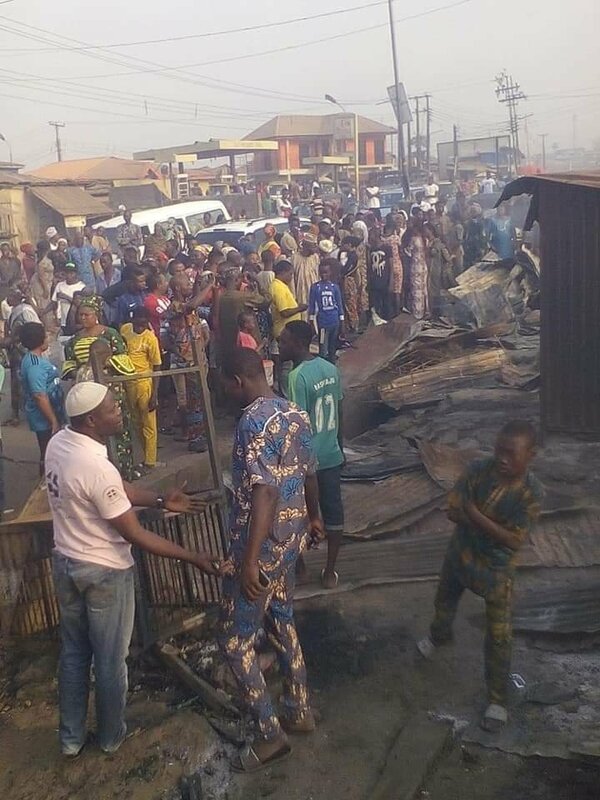 Public Relations Officers of the state police command, Adekunle Ajisebutu who confirmed the incident to journalists however insisted that normalcy has returned to the affected areas. Ajisebutu in a statement added that eleven suspects including their leader have been arrested. He said, "Normalcy has been restored in the affected area. The state Commissioner of Police, Abiodun Odude, has directed the policemen drafted to the area to carry out intensive patrol as well as 24 hours surveillance to avoid further breakdown of law and order. "While directing that the 11 suspects including their ring leaders arrested be charged to court immediately after conclusion of investigation, he warned hoodlums and other criminal elements against wanton destruction of lives and property".